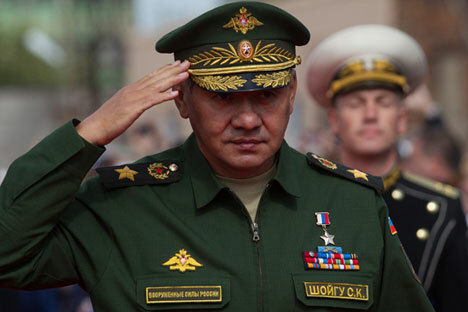 Military-technological cooperation with Egypt still has a big significance for Russia, Russian Defense Minister Gen. Sergei Shoigu said. "It [cooperation] has been rather dynamic thanks to the joint efforts," the minister said at the first sitting of the Russian-Egyptian Military-Technological Cooperation Commission on Wednesday. "Cooperation between our countries in the military-technological field has a long history. It started in 1955 when Egypt was supplied with the first batch of armaments and military hardware," he said. "We see as a priority the fulfillment of the agreements reached at summit negotiations in Cairo in February," Shoigu emphasized. "I am considering today's meeting in the same context." The minister recalled that the governments of Russia and Egypt signed a military-technological cooperation protocol in spring 2014. "It laid down a normative and legal basis for bilateral contacts in the areas of mutual interest," he said. "We are holding the first meeting of the Russian-Egyptian Military-Technological Cooperation Commission today. We will sum up results of the previous year, map out cooperation priorities and sign documents drawn up by our experts," Shoigu said. In turn, Egyptian Defense Minister Sedki Sobhi thanked Shoigu for "the cordial welcome" he had received in Moscow. "We have a significant mission today - we are holding the first sitting of the Russian-Egyptian Military-Technological Cooperation Commission, which will sign important documents," the Egyptian minister said. "Egypt is developing friendly relations with all countries, and we are visiting Moscow today, in line with this policy," he said. The minister is expecting the first meeting of the joint commission to "achieve new results in the field of military-technological cooperation." The order portfolio of Russia's arms exporter Rosoboronexport exceeds 38 billion rubles ($603 million), Rostec corporation deputy general director Dmitry Shugayev told the Ekho Moskvy radio station on Monday.